- When can I come and get massage? - I have called the given numbers several times but nobody answers. How can I set an appointment for massage? - What would happen if I'm late for my appointment? Can I still get massage? - Can I cancel my reservations? If so, can I get back my money? - Would you come to my place for giving massage or I should only come to the spa? - What is your address? - Are your masseuses Thai or Iranian? - Is it possible to have female therapist for men and vice versa? - Are you open on weekends and holidays? - Is it possible to schedule an appointment with my friends and colleagues? - Can I come over with a friend or any other company? - Can I bring my child with me? - Do you use any special device or gadget? - Are Thai massages done with clothes on, or I should take them off? - Do I have to bring any special clothing? - Can I take a shower before I leave the spa? When can I come and get massage? You can book your appointment within the working hours as below.. Please consider that the mentioned working hours is valid for Tehran branch and you should select the desired branch from top-right of the page to find out their working hours. I have called the given numbers several times but nobody answers. How can I set an appointment for massage? These numbers are only answering within the working hours. You can make your reservations Online out of this duration or contact +98(912)3205910. What would happen if I'm late for my appointment? Can I still get massage? We would like to advise you to arrive 15 minutes early. Otherwise your service will be adjusted to time remaining for the room should be prepared for the next client. Can I cancel my reservations? If so, can I get back my money? if you cancel your appointment within 8 working hours of your appointment time, 50% of your service will be charged. 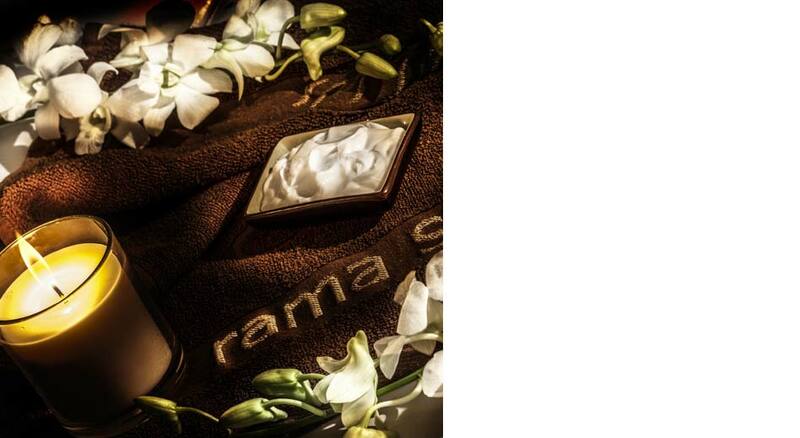 Please visit Rama Spa Policy for more information. Would you come to my place for giving massage or I should only come to the spa? We are sorry to say that our services are only in the spa. It is best for you to be out of your place so you can truly enjoy the treatment and balance your senses. Tehran Branch: ٌWill be announced soon. Are your masseuses Thai or Iranian? Is it possible to have female therapist for men and vice versa? Are you open on weekends and holidays? Our working hours remain the same on holidays. We are only closed on specific occasions like 'Shahadats'. Is it possible to schedule an appointment with my friends and colleagues? Yes. Please visit Services for more information; there are many options to choose from. Can I come over with a friend or any other company? We are sorry to inform you that companies who are not using any of the services are not acceptable. But feel free to schedule appointments for friends and family and share your joyful moments with them. We are sorry to say that we don't have facilities to take care of your child. Do you use any special device or gadget? No. Massage therapists typically use their hands and fingers for massage, but may also use their forearms, elbows and even feet in some styles of massage. Are Thai massages done with clothes on, or I should take them off? The Traditional Thai massage is fully clothed as the technique is based on pressing and stretching muscles. In foot massages, you only need o expose your feet, calves and knees. As in other styles in which we use oils and butters on your whole body, you need to take off your clothes. Although you will remain your undergarments. Do I have to bring any special clothing? You will be offered any clothing you may need, when you arrive the spa. Can I take a shower before I leave the spa? It is recommended that you take shower before your massage and let the oils absorb to your skin for at least 2 hours. But if you feel like you want to wash them off, we have the facility for you to take a shower.